Woodswoman Abroad | Sometimes a travelogue, sometimes just a vehicle for wistful thinking about Italy or France . . . always ready to go back again. Imagine yourself strolling through streets in villages in the Luberon Valley of Provence. Goult, Gordes, Lourmarin. Imagine sipping a lovely wine from the region, crumbs of a fresh croissant on the tip of your tongue. Imagine the smell of lavender, herbs de Provence, the baked goods waiting in the shop on the corner. Antiques at the market in Isle de sur La Sorgue. Visits to castles, abbeys, picturesque towns in the Provencal hills. Cafes and shops abound. We will begin with a week at a beautiful Provencal villa in Roussillon, with swimming pool, and garden benches, patios overlooking the Provençal hills. 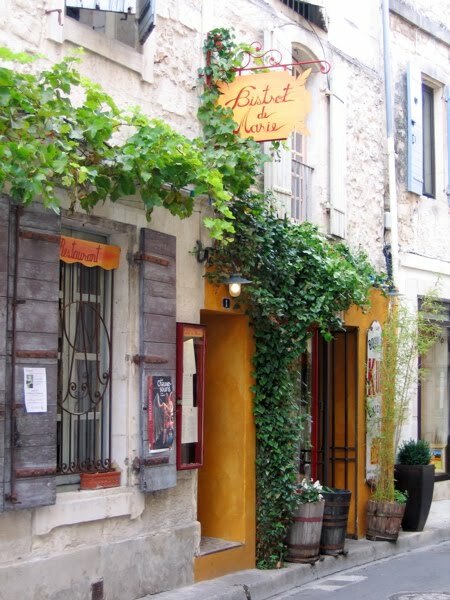 Day trips to Isle-sur-le-Sorgue, Aix-en-Provence, St. Remy, area wineries, Gordes and Goult. Springtime in Provence brings wildflowers, and the cherries are in season. Day-markets are in every town. Longer daylight allows for an evening’s relaxation outdoors with a glass of wine. Delicious meals are prepared with ingredients fresh from the village markets, enjoyed at area restaurants or by a personal chef at our own villa. Then three nights at Les Florets, a favorite and beautiful little inn just outside the town of Gigondas, north one hour from our villa. As we depart from the villa, we will stop in Sault, the lavender capital of Provence, and though it will be early for the lavender, it is in the air, everywhere. A drive over Mount Ventoux affords us a spectacular view all around the valley from above. Les Florets’ owner, Thierry, will serve us wine his family makes on the property, cheeses to die for, and dinners that will leave your palate watering for a week. Though we can certainly explore the village, this three-day respite from day-trips allows us to sit, read, write, become even cozier with our cameras, and relax into our next week in Europe’s great jewel, Paris! At the end of our time in Provence, we will board the TGV, the “fast train” to Paris, one of the most stunning cities in Europe. With museum passes and Metro passes, you are free to wander wherever you want, whenever you want, visiting some of the most famous paintings in the world, or finding the tiniest galleries in back streets. Paper stores, button stores, bookstores, artwork sold on the Pont Neuf . . . Just sitting outside the Louvre transports you to a different world. We will choose some sites to see together, including two walking tours of specific areas of Paris, the Montmartre and the Marais Districts. A trip to Monet’s house and gardens in Giverny is spectacular with all the flowers in bloom. We will stay in a beautiful boutique hotel in the Rue Cler district, the 7th Arrondissement. The owner, Catherine, and her daughter, Charline, always welcome our group! From there, your feet or the metro or a cab will take you anywhere you want to go. 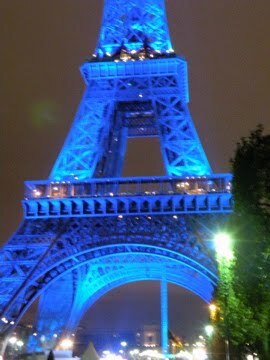 Our hotel is just a few blocks from the Eiffel Tower. Sometimes lit in red, sometimes blue, the tower is an especially spectacular vision at night, walking through the park from our hotel! Our trip will include AIRFARE FROM DENVER, 17 nights’ lodging**, train from Paris to Avignon and back, rental cars, gas and tolls, transfers to and from our Paris hotel, a 6-day museum pass, a 6-day metro pass, nine exceptional dinners, eight breakfasts, Paris Street-wise map, two Paris Walks walking tours, travel journals, and ME, your planner, guide, and all-around fire-extinguisher! Cost for above, (including airfare from Denver) is $6450.00** A $500 non-refundable deposit holds your space. An early bird OR referral discount of $250 is yours for paying your deposit before August 31, 2016 OR for bringing a friend not on my list. For questions, please contact Joannah L. Merriman, Lifeprints, 970-481-6339. E-mail me at woodswoman@alumni.colostate.edu and check out my travel blog, www.woodswomanabroad.com for samples of previous trip adventures! **Double occupancy. Single occupancy available for additional cost. Travel insurance is a must, I’ve found, but I will offer a policy for the full cost of your trip as well as for lost luggage, trip delays, medical coverage etc. Details about that upon registration. Bon Jour! Ah, Bella Italia! Wouldn’t we love to explore her majestic art, architecture, and cuisine, her serene villages and vineyards, her romantic coastlines for half of the rest of our lives? Well, on this Women’s Adventure, we’ll have to settle for just a bit less than that, taking in some of the spectacular sights in the top half of “the boot”. We’ll begin in Florence, my favorite Italian city, full of culture and beauty, and just the right size to enjoy ourselves easily. We will stay six nights, strolling on the Ponte Vecchio to the other side of the Arno, listening to the monks chant their 5:00 Mass near the Piazzale Michelangelo, stopping at a frutta e verdura market for a fresh afternoon snack. 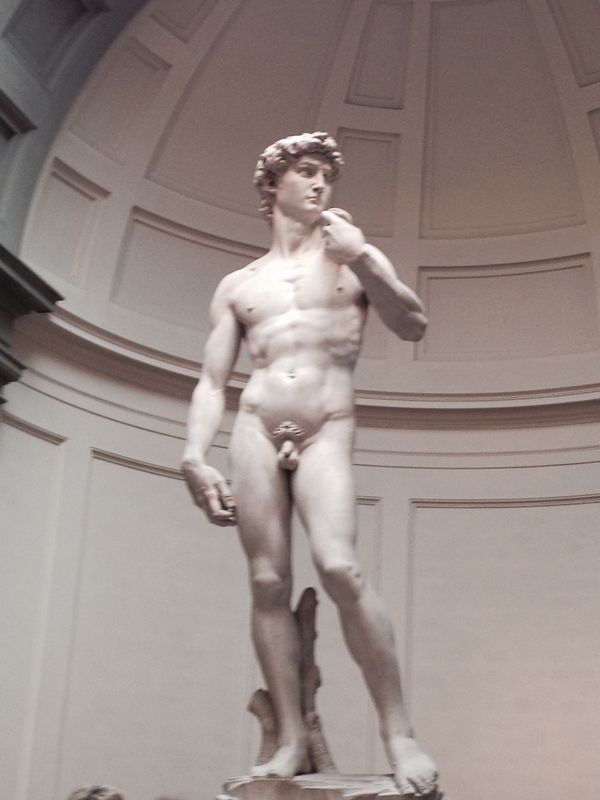 After a half day private walking tour with our guide, Elena Leo, to get a feel for the history of Florence, we will visit the old masters in the Uffizi Gallery and the exquisite statue of Michelangelo’s David at the Accademia. 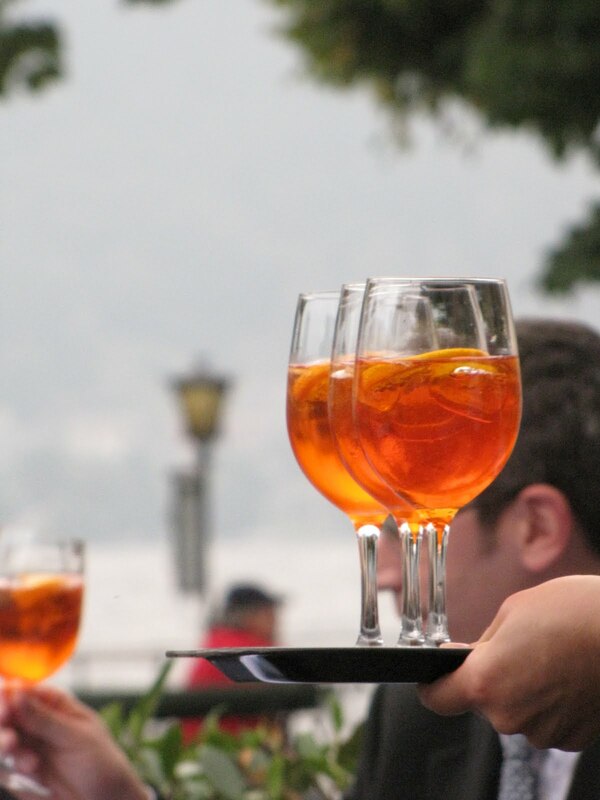 Franco treats us like queens at Il Porcospino, a local ristorante near the Medici Chapel. 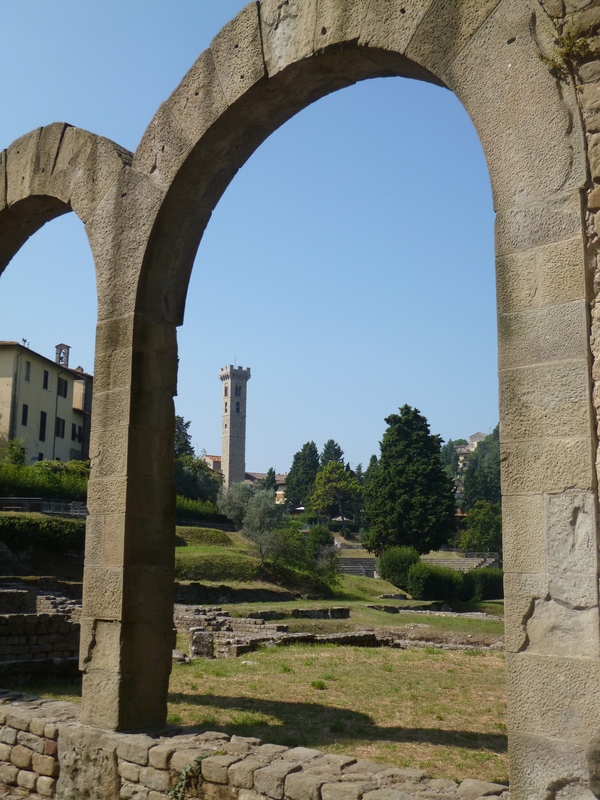 A day trips to Fiesole will give us our first taste of some northern Tuscany towns, with a spectacular view of Florence from above, and we can explore the Etruscan ruins nestled in Fiesole’s village boundaries. A short train ride to Prato (our guide’s hometown) and we can visit the Textile Museum, a fresco-ceiling chapel, and a Palazzo or two . . . And always there is espresso, cappuccino, gelato and other delicious culinary delights. We depart Florence and travel by short train ride to Lucca, a unique triple-walled little city, for three nights, where we can ride bicycles on top of the old walls, picnic at one of the wall-top parks, and take a half-day tour of nearby Pisa. We will see the Leaning Tower, of course, and those of you who are adventuresome can climb the tower if you wish. The Baptistry and the Duomo are spectacular, part of the unique Field of Miracles situated within an area the size of a city block. 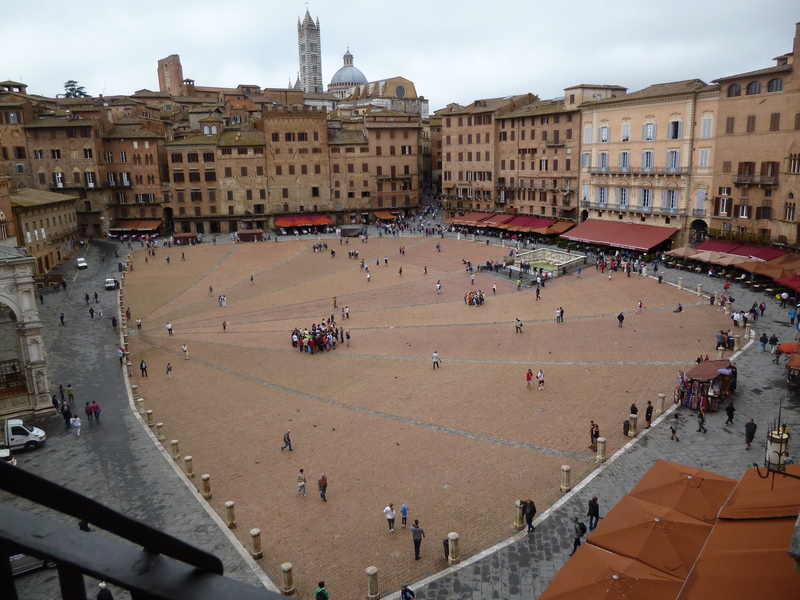 Then on to Siena, where the Palio is held each year at the Campo, in July and August. While we are there, we can see clear evidence of which contrata (city district) has won the prize after the last race. A half-day private tour with my friend Viviana Girola will put some of Siena in a historical context, including entry into the magnificent Duomo, as well as the side gallery with ancient illuminated manuscripts on display. Then we will be free to explore the walkways, churches, shops and alleys of this old world town. By popular demand, we have three nights in Siena. Delicious dinners await us, as well as casual daytime grazing on the Campo, full of cafes and street vendors. After kissing Siena goodbye, we will head to the Tuscan countryside, near Vagliagli, just outside of Castellina in Chianti. Our hosts will be Mario and Elena, the owners of Tenuta Corsignano, an agriturismo, a working farm with vineyards, olive trees, herb gardens and views of Siena in the distance. We will take off most days for Tuscan towns and villages, such as Montipulciano, Pienza, Cortona, and San Gimignano, and perhaps visit Capalbio’s Il Giardino dei Tarocchi (Tarot Garden), a spectacular park with mosaic magnificence in the form of the figures of the Major Arcana. We might also have a private cooking class, a delightful half-day experience. If you choose, you can just spend a leisurely day or two at the agriturismo itself, lounging by the pool, walking the area or napping luxuriously in the Tuscan sun. There is always time to write in your journal, one you will receive for the trip, or one you bring with you! We will depart from Corsignano and private drivers will take us to Cinque Terre, where we will stay for three nights. Your choices are many throughout these “five lands”, and you can walk or hike from one of the five villages to another, or take the little “milk train” or boat instead, stopping here and there to explore Monterosso, Vernazza, Corniglia, Manarola, and Riomaggiore. 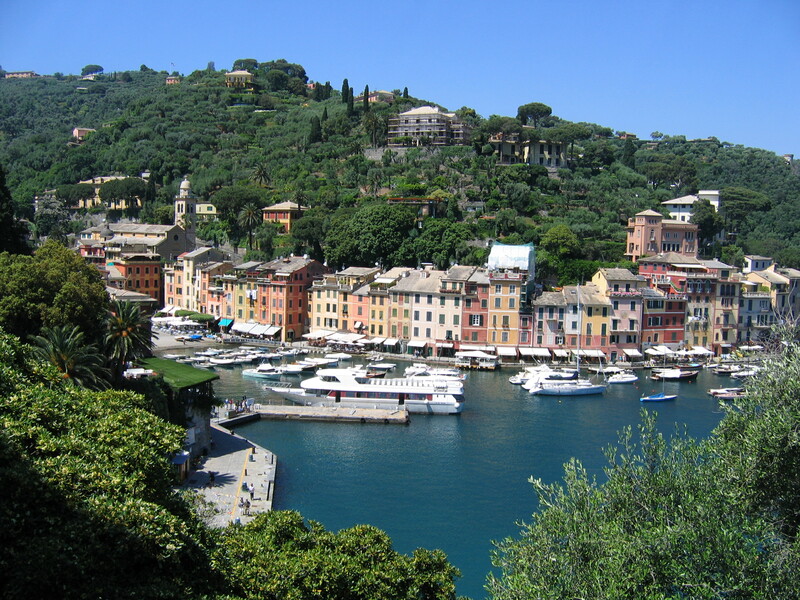 We will steal away one day, taking the train to the spectacular oceanside town of Portofino (remember Enchanted April, filmed in that area?) for a day of shopping (even just window-shopping) in the high end stores and galleries, all at the edge of the sparkling Ligurian sea. Sip chilled Prosecco and watch the yachts come and go. When we say goodbye to Cinque Terre, we will head for the airport (either Milan or Florence) and our return to reality! Our trip will include AIRFARE FROM DENVER, twenty nights’ lodging (double occupancy), all transportation within Italy, walking tours in Florence, Prato and Siena, a half-day trip to Pisa, combo ticket in Pisa (the fee for the Tower climb is not included), eighteen breakfasts, three lunches, two picnics, eight dinners, entrance to the Duomo in Siena, the Uffizi, Accademia, and Medici Chapel in Florence, bicycle rentals in Lucca, Florence Street-wise maps, travel journals, and ME, your planner, guide, and all-around fire extinguisher! Cost for above, (including airfare from Denver) is $6200.00** A $500 non-refundable deposit holds your space. A discount of $250 is yours for early registration by November 15, 2015 OR for bringing a friend not on my list . . .
For questions, please contact Joannah L. Merriman, Lifeprints, 970-481-6339. E-mail me at woodswoman@alumni.colostate.edu and check out my travel blog, http://www.woodswomanabroad.com for samples of previous trip adventures! **Double occupancy. Single occupancy available for additional cost of approximately $1000-$1100, depending on the value of the Euro at time of travel. If you are flying from somewhere other than Denver, or if you have miles you’d rather use, please talk with me. Travel insurance is a must, I’ve found, but I will offer a group rate or individual policy for the full value of your trip as well as for lost luggage, trip delays, medical coverage etc. Details about that upon registration. Italy Women 2014, continued . . .
Our week in Chianti, with home base in a beautiful villa in Vagliagli, was spectacular! With a van that held all of us, we didn’t have to worry about caravaning in three cars or getting lost (well, at least not THREE cars getting lost) on our way to our daily adventures. Peggy was my navigator-extraordinaire, and though on the first day, just outside of Siena, an unruly metal guardrail jumped out and snatched a big blocky side-panel attached to the left rear of the van, we still managed to get to our first destination, the beautiful restaurant at Badia a Coltibuono for lunch, just outside Radda in Chianti. Badia a Coltibuono is also the property on which Lorenza di Medici’s cooking school is situated, and if you want to spend several thousand dollars for a few days with the school, your bank account is much larger than any of ours! 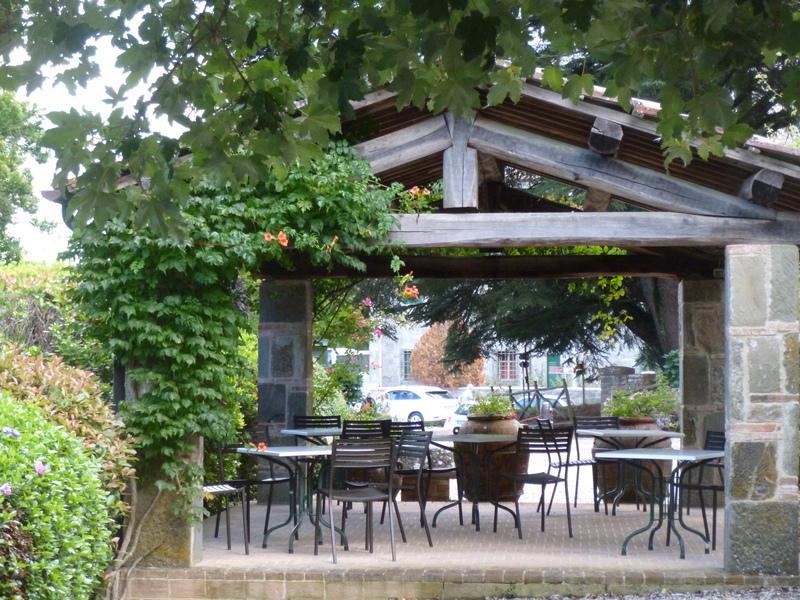 But lunch on the grounds is exquisite, with wisteria drooping over the canopy overlooking the Tuscan hills. During our week at Solaria di Santa Maddelena, up the hill from the little town of Vagliagli, we spread out among the seven bedrooms and six bathrooms, the four patios and decks, a huge living space with large dining room and larger living room, and we played. For several days we all piled into the 9-passenger van I rented, and explored the area. Day One, Sunday, we traveled took advantage of a cloudless sky and a good weather forecast, and drove all the way to Porto Santo Stefano and the Giardino Tarocchi near Capalbio. 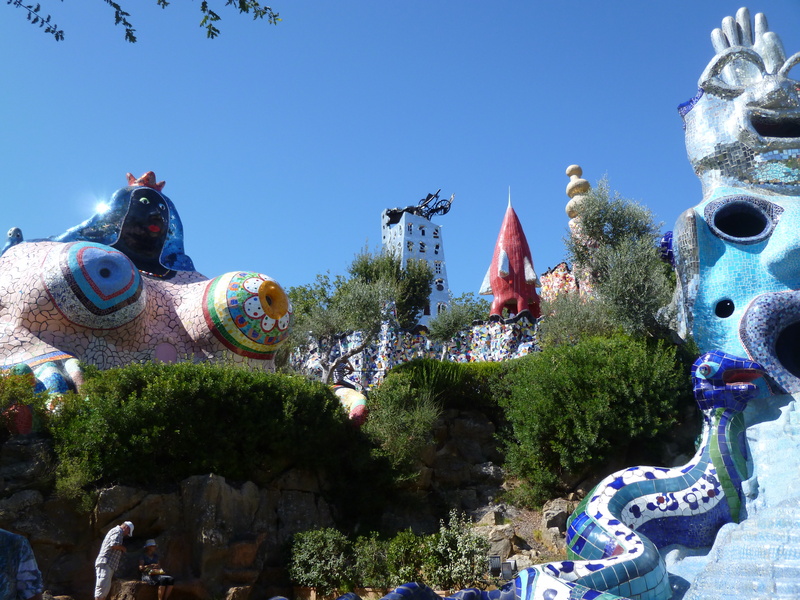 The Tarot Garden is the brain-child and many-decade project of artist Niki de Saint Phalle, http://www.nikidesaintphalle.com , a nearly unbelievable mosaic labor of love. Click on the link for many photos and the story itself. The next morning we headed to Montepulciano, a favorite hilltown, where we were promptly applauded by several elderly Italian men watching me pack into a tight parking space with this huge van! Three or four of my travelers were outside the van, calling directions for situating the big Opel beast perfectly within the lines of the parking area. Where was my camera THEN?? We finished that day by making a stop in Pienza, the location for two scenes in the film, The English Patient, as well as the home of pecorino cheese, a fine sheep’s cheese. Stopped at the main piazza for a cappuccino with some of the group, joined by Jennifer, the gelato queen of our trip, and her friend Mindy, both nodding in approval at their selected flavors of the creamy stuff. My pitcher, with one of Jennifer’s vessels behind it . 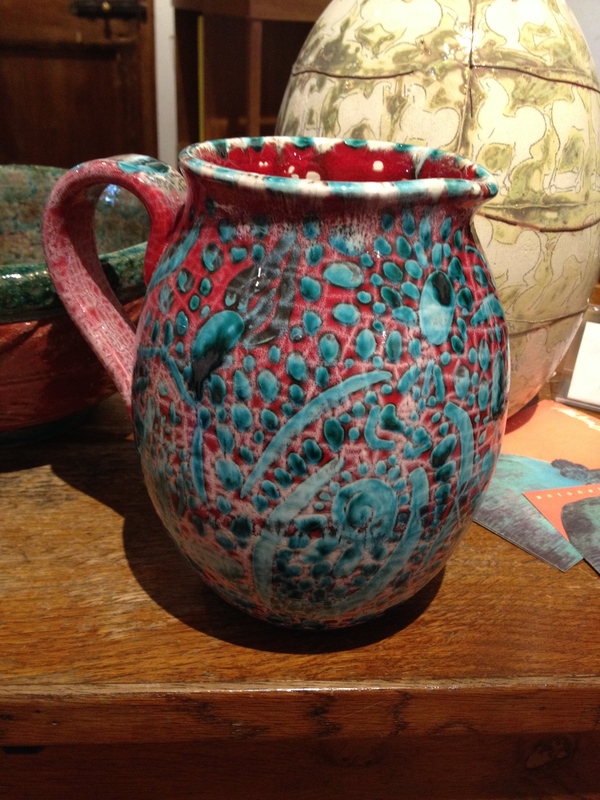 . .
Shopping in Greve in Chianti, everyone found something special, a manageable painting, a ceramic pitcher or other-shaped vessel, and two bottles of wine for Neil, a tradition begun in 1999 when he and I visited this wine shop in Greve together. For some reason, (perhaps because of the wine shop and the very unique ceramic artisan shop) this is my favorite Chianti town, though others might argue the virtues of Radda, Castellina, Gaiole and Panzano as “best”. I used to try to rush around and see at least three in one day. Now it is more enjoyable to just land in one village and take my time. My traveling companions were more than happy to do that as well. As we wound down the afternoon and returned to our villa, those who stayed home were preparing a delicious dinner for us, and we were satiated with sightseeing, shopping, swimming and sumptuous food, ready to go to bed and greet tomorrow’s adventures well-rested. Imagine yourself strolling through streets in villages in the Luberon Valley of Provence. Goult, Gordes, Lourmarin. Imagine sipping a lovely wine from the region, crumbs of a fresh croissant on the tip of your tongue. Imagine the smell of lavender, herbs de Provence, the baked goods waiting in the shop on the corner. Antiques at the market in Isle de sur La Sorgue. Visits to castles, abbeys, picturesque towns in the Provencal hills. Cafes and shops abound. We will begin with three nights at Les Florets, a favorite and beautiful little inn just outside the town of Gigondas, north one hour from our villa. Thierry will serve us wine his family makes on the property, cheeses to die for, and dinners that will leave your palate watering for a week. 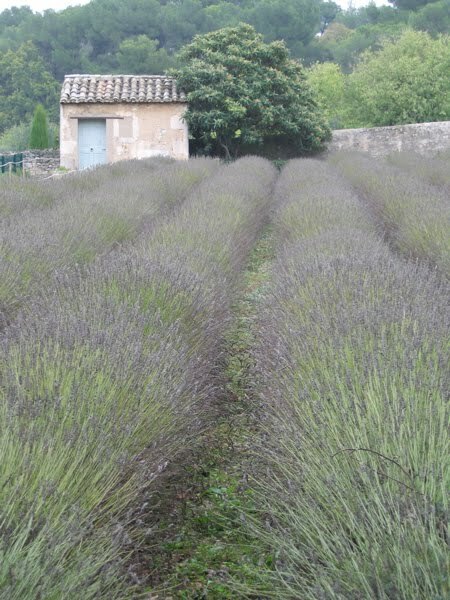 As we depart from Gigondas, headed for our villa, we will stop in Sault, the lavender capital of Provence, and though it will be early for the lavender, it is in the air, everywhere. Then a week at a beautiful Provencal villa awaits you, with swimming pool, and garden benches in the courtyard. Day trips to Aix-en-Provence, St. Remy, area wineries, the red hills of Roussillon. Springtime in Provence brings wildflowers, and the cherries are in season. Longer daylight allows for an evening’s relaxation outdoors with a glass of wine. Delicious meals are prepared with ingredients fresh from the village markets, enjoyed at area restaurants or by a personal chef at our own villa. At the end of our time in Provence, we will board the TGV, the “fast train” to Paris, and spend the next week immersed in the beauty, excitement, tranquility (and food!) of one of the most stunning cities in Europe. With museum passes and metro passes, you are free to wander wherever you want, whenever you want, visiting some of the most famous paintings in the world, or finding the tiniest galleries in back s treets. Paper stores, button stores, bookstores, artwork sold on the Pont Neuf. Just sitting outside the Louvre transports you to a different world. We will choose some sites to see together, including two walking tours of specific areas of Paris, the Montmartre and the Marais Districts. A trip to Monet’s house and gardens in Giverny is spectacular with all the flowers in bloom. We will stay in a small hotel in the Rue Cler district, the 7th Arrondissement. From there, your feet or the metro or a cab will take you anywhere you want to go. Our hotel is just a few blocks from the Eiffel Tower. Sometimes lit in red, sometimes blue, the tower is an especially spectacular vision at night, walking through the park from our hotel! Our trip will include AIRFARE FROM DENVER, all lodging (double occupancy), train from Paris to Avignon and back, rental cars, gas and tolls, transfers to and from our Paris hotel, 5-day museum pass and metro pass, nine dinners, eight breakfasts, Paris Street-wise map, two Paris Walks walking tour, a day-trip to Giverny, travel journals, and ME, your planner, guide, and all-around fire-extinguisher! Cost for abo ve, (including airfare from Denver) is $6200.00** A $500 non-refundable deposit holds your space. A referral discount of $250 is yours for paying your deposit by December 31 OR for bringing a friend not on my list . . .
For questions, please contact Joannah L. Merriman, Lifeprints, 970-481-6339. E-mail me at jetlost@lamar.colostate.edu and check out my travel blog, www.woodswomanabroad.com for samples of previous trip adventures! Bon jour! **Double occupancy. Single occupancy available for additional cost. If you are located somewhere other than Denver, I arrange a deep discount for you getting your own airfare to coordinate with the rest of the group. Travel insurance is a must, I’ve found, but I will offer good policies for the full value of your trip as well as for lost luggage, trip delays, medical coverage etc. Details about that upon registration. Michelangelo’s most famous and stunning sculpture . . .
September 13, 2014 – Five days in Florence just flew by, as it always does, with exquisite visits to the Accademia to see the David, the Medici Chapel, the Uffizi, and up high to the Etruscan town, Fiesole. Wandering the streets of Florence, walking over one bridge and back across another . . . the Ponte Vecchio, Ponte Santa Trinita, always with a misty or sunny view of the Arno River. By Wednesday, September 10, we were headed to Siena for the next three days. 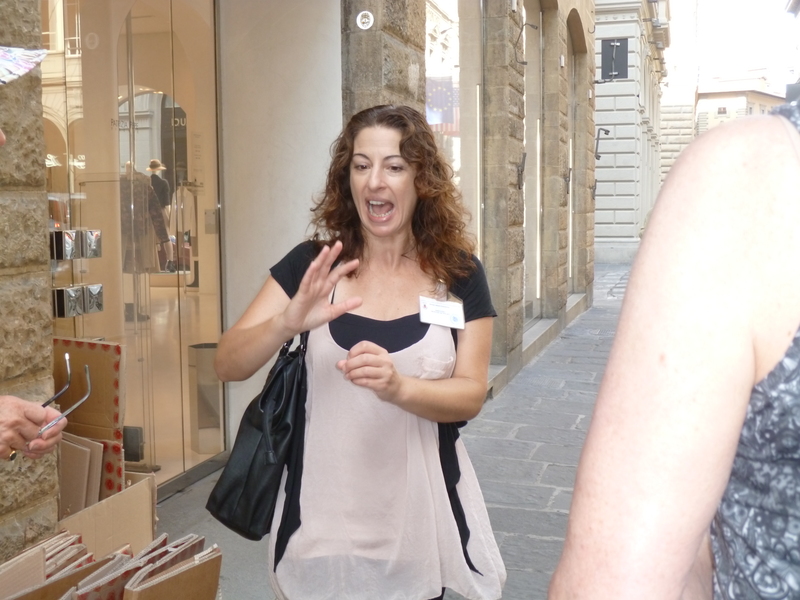 Walking tours with Viviana Girola are always a must in Siena, and we toured the Duomo, the historical banking Piazzas, the Campo, and the palazzo where ancient documents from centuries of official transactions are stored. A caprese a day . . . delicious! 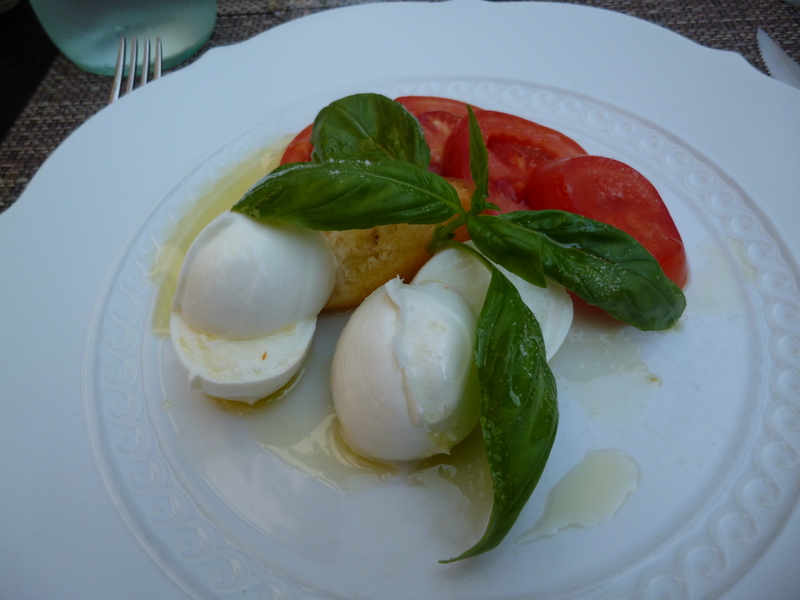 As in Florence, our Siena days were also filled with delicious meals, including my staple, like an apple a day, the caprese insalate. Fresh tomatoes, alternated with creamy mozzarella and a variety of applications for the sprig of basil. I just can’t get enough of this dish, and there is no reason to deny myself. It is low calorie, and much more satisfying to my taste buds than gelato, though several of the woman are becoming experts in the gelato arena. The women in this group have threads of connections with one another that grow stronger with each passing meal, each passing glass of wine, each day of this trip. We eat, shop, eat, walk and walk, laugh, break up into small groups sometimes, wander alone when we want, and come together each evening for another delicious dinner. On our second evening in Siena, we attended an opera concert, with nearly a dozen arias sung by a woman whose strong voice was actually too much for the little church venue, but when in Italy, how appropriate to hear these familiar pieces sung in the language of this rich-in-culture country. Siena, Day 3 is free for whatever everyone wants to do . . . exploring back streets to find that special cheese shop, looking for linens and discovering an art store, wandering around until we find our dinner restaurant for the evening, and of course, stopping often along the way for an espresso (big discussions about NOT calling them EXpressos!) or a cappuccino. The Campo – Siena’s center of energy, and a great meeting place! And always in the center of the town is the famous wide Campo, site of the Palio, the horse races in July and August that determine the winning contrata (neighborhood district) each year. The Campo is a buzzing place, big enough so it never seems too crowded, with a tower at one end and a fountain at the other, making it easy to find your traveling companions to reconnect after a day of exploring. Today, Saturday, we will head for the Hertz office and get our cars . . . YIKES! Florence is the place to be . . .
Our first three days in Florence, after a full day of travel (with jetlag) have been spectacular. I hope you like that word, because I’m sure that many of the next two-plus weeks of experiences will earn the right to use that word . . . spectacular. We began on Thursday, September 4 at the ungodly hour of 5:30 a.m., when A Last Minute Limosine showed up at my curb, awaiting six of my group of eight, luggage and all. 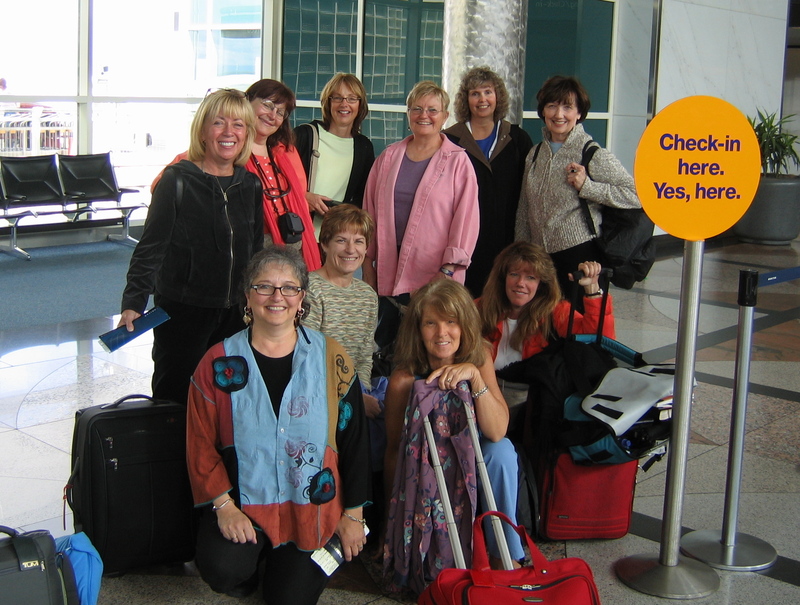 The very efficient women had delivered their larger bags to my house on Wednesday evening, to make the loading process more efficient, so that by the time we all climbed into the very long, smooth limo, the driver had packed the bags and we were quickly ready to head to DIA. Mimosas on the way down, and we arrived at the airport in plenty of time to check in, show passports, and even to allow United ticketing agents (bless their efficient hearts) to undo a big confusion-glitch compliments of Swiss Air, involving three of our passengers. However, that effciency was undone by the weather in Chicago, thunderstorms that caused an hour of extra stuffy time on the tarmac before we could be cleared for take-off. But our Italia magic prevailed and we caught all of our connections, uniting our group with our separate traveler, Lydia, at the Florence airport. Settling into the Hotel Pendini went off without a hitch, their staff warmly welcoming us as they do each time I return with my groups. Eating our way through this favorite city began with lunch at Cantinetta Antinori, an elegant little restaurant in the very fancy shopping district, after which we walked (and sometimes trudged) up a very long hill across the Arno, to get to Piazale Michelangelo and the Church of San Mineota, just in time to hear the monks sing the Mass. High above Florence, we stood together and looked out over the city. Caprese salad, Italian style . . . the real deal! Firenze in a haze, but lovely, as always. Saturday we met my lovely walking tour guide, Elena Leo, whose abundant knowledge about this area enhances our trip each time we are in Florence. Just so readers know, my WordPress isn’t behaving as it did on the Camino, and until I figure it out, I’ll do my best to send details of our trip every few days. But the photos aren’t “nesting” in the text in any consistent way. Ah, Viva Firenze! As the old Peter, Paul and Mary song went: “Well, my bags are packed . . . I’m ready to go . . . ” and I can almost say that’s true. Trying to pack in the midst of fighting family fires, making last-minute lists, and re-checking reservations for flights, hotels, and most important, wonderful Italian restaurants, has kept this little old tour guide very busy in the past week. I am so looking forward to showing a new group of women my favorite parts of my favorite country, Tuscany, Italy. Very early Thursday morning, a limousine will arrive in front of my house and begin to load up the ladies’ luggage, and then the ladies (“women” is the term I prefer . . . ) and the driver will whisk us down to DIA where we will begin our journey, accompanied by mimosas. I like to start out our travels in style. Within a bit more than 24 hours, we will disembark at the Pertola airport near Florence and begin a 2-1/2 week exploration of Florence. I will post photos and a bit of a narrative of our days, and hope you enjoy traveling vicariously with us. Perhaps you will be inspired to join me for my next adventure, either in France (late April-Mid May 2015) or in Italy again (mid-May to early June, 2015). Watch for more details soon! Our Group Is Nearly Complete . . .